In some Missouri family court cases, it is necessary for the Court to appoint a guardian ad litem. A guardian ad litem (“GAL”) is usually an attorney and can be appointed in divorce, paternity and custody modification cases to represent the best interests of the children involved in the domestic matter. A GAL must be appointed in child order of protection cases, or in any case where abuse or neglect is alleged by either parent, but can also be requested by either party to assist the furthering of the children’s best interest in the family court case. The best interests of the children are determined by Missouri Revised Statute Sec. 452.375. Incumbent in the role of representing the children’s best interests in a family court matter is the GAL’s determination of a custody plan which prescribes a physical custody plan of when each parent shall have custody of the child, as well as a legal custody arrangement, i.e. which parent(s) have the right to make important decisions regarding the child. These decisions include medical, educational and religious upbringing among others. In order to determine the best interests of the children, the GAL will speak with both of the parents as well as the child if the child is of appropriate age. Further, the GAL may contact other family members, friends, police officers, doctors, teachers, daycare providers, counselors, and others to attain additional information about the parties, the children and their family dynamic. 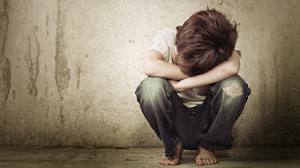 Upon gathering the testimony of these people, along with usually attaining school, doctor and/or counseling records on the children, the GAL will formulate his or her custody recommendation for the children. It is not unlikely for the Court to follow the GAL’s recommendation as to what the custody arrangement should be in that particular family court case, but sometimes the parents will not agree to the recommendation and will continue with a trial to try and persuade the Judge to order a different custody plan. It is important for parents and children who have a GAL available to them in their family court matter to recognize the important role the GAL has in the final custody determination of their case. It is vital that the parties keep the GAL abreast of the ongoings of their case and that they feel comfortable reaching out to the GAL to offer additional information and to request help with difficult situations that may arise. The GAL is governed by certain standards which are outlined in Appendix C of Missouri Supreme Court Rule 129, which explains the rules of practice and procedure in juvenile and family courts. The Missouri Revised Statutes also discuss the use of a GAL in RSMo 452.423. The explanation of GAL use in St. Charles County specifically can be found in the St. Charles County Local Rules 22 and 68.14. In St. Charles County, GALs charge an hourly rate of $180.00 for their services by local rule. However, when a GAL is appointed, the Judge usually determines an upfront retainer to be paid to the GAL by the parties based on their respective income levels. Sometimes the parties do not meet a minimum income requirement and therefore are eligible for a county contract GAL to be appointed, in which case there is no cost to the parties to have a GAL. Since the guardian ad litem plays such a vital role in a family court matter, it is important to understand his or her position and to have an experienced family law attorney to help you navigate your family court case.